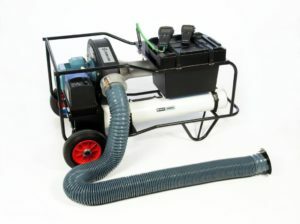 Hasman offer a nationwide ductwork pressure testing service in accordance with BESA DW143. We test that ductwork leakage is within the allowable rates stated in BESA DW144. Our staff are fully trained in the use of state of the art equipment, testing methods and calculations. CSCS cards are held by all of our staff for work on construction site projects. BESA DW143 outlines the allowable leakage rates for low, medium and high class ductwork systems. Hasman’s high sensitivity ductwork pressure testing equipment allows us to test all ductwork classes from A to D. Testing is only mandatory for ductwork classes B to D but with increased attention on building’s energy efficiencies testing of class A systems may also be specified. Kitchen Extract LEV systems installed in accordance with DW172 are class A installations unless otherwise stated. Drawings will be requested prior to works commencing in order to accurately quote for works. 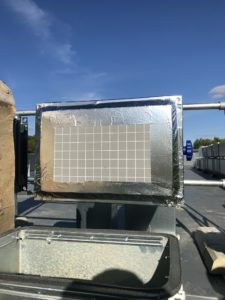 Tests are carried out by dividing the ductwork into manageable test sections, test sections are blocked off using reusable blocking materials such as high quality foams. Test sections are placed under pressure, specified in DW143, results are then calculated and witnessed by the client for sign off. Traditional methods for reducing ductwork leakage are to apply additional clamps, fixings and mastic to increase airtightness. This process is time consuming but can make a small improvement to the overall airtightness of a system, however many areas of the system may be difficult to reach above ceilings, behind walls and other building services. In cases where access is difficult or dramatic improvement to airtightness is required then a specialist solution is needed, click the link to find out more about our ductwork sealing solution Aeroseal. You can also learn more about this service in our pressure testing and Aeroseal case study.